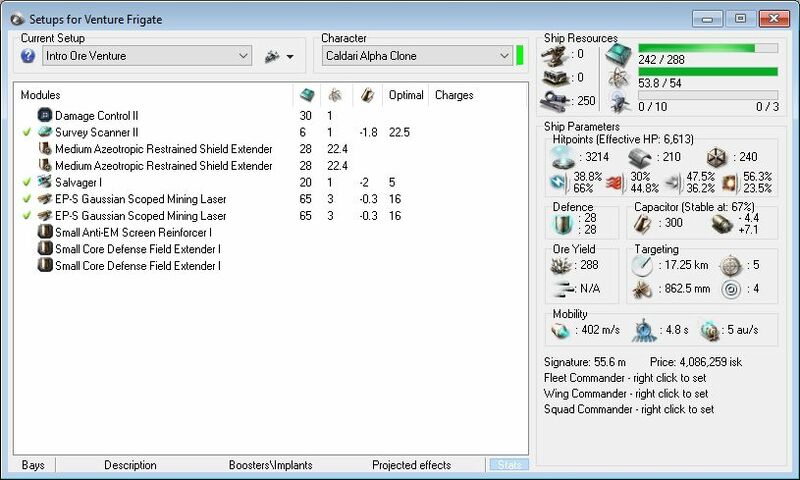 As a new player and Alpha Clone you need to find reliable ways to make ISK and Mining is one of the most reliable. It's not the most fun, but you can be pretty sure you will make a steady income mining. 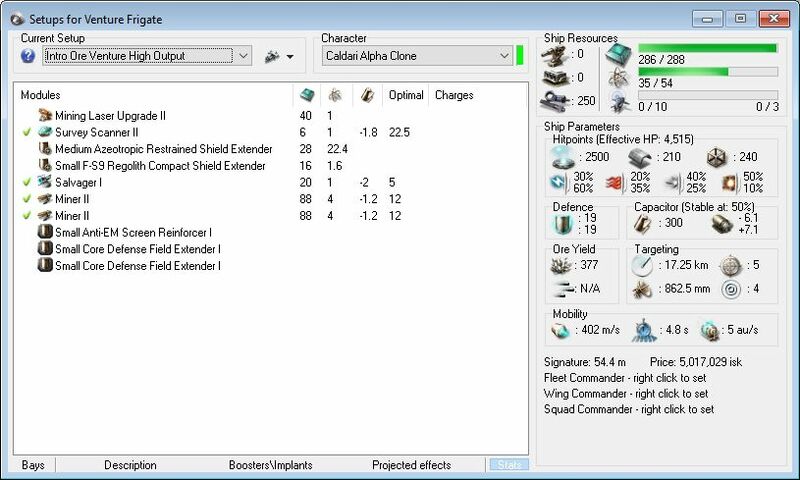 Two weeks ago I showed you a ISK Making Method that Alpha Clones could use to make ISK with almost zero skill points. 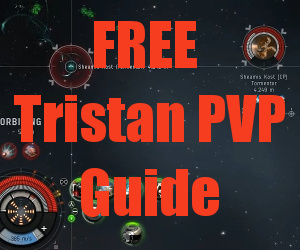 This method requires a small amount of Skill Points but it's still something you can do very soon in your EVE Career. This ISK making method requires you have a Venture which you can get free from the New Player Experience Career Agent for Industry. This fitting can be used by ALL Alpha Clone Races. If you can't fit something here don't be afraid to use the Tech 1 or smaller variety until your skills improve. Once you have your Venture, go to EVE-Marketdata.com and find the most profitable Ore to Mine and where to mine it. That link will give you a good idea of what you should mine. Next, move your Venture to the system you choose and then begin mining. IMPORTANT! DO NOT SELL TO LOW BUY ORDERS! Save up your ore until you have 200,000 units or more and then list your ore for sale on the local market for a just under what it sells for in Jita. If you aren't too far from Jita or another Trade Hub, someone will see your order and come buy the Ore from you. This means you never have to haul your ore! If you find that it's not selling, slowly drop the price by right clicking and modifying the order. Lower by one ISK at a time and be patient. It will likely take a day or two to sell. If you need more information about Mining, I highly recommend the EVE University Wiki on Mining. Not sure how old this is, but this fit isnt valid for me as a new player – the Shield Range extenders are 25.2 Power vs 22.1 above, which pushes it over the top for powergrid. Just an FYI, thanks for the guide! I noticed that too. I added a second fit in the article below that is better. On the second build, the Medium Azeotropic Restrained Shield Extender takes too much power as well, making it impossible to use it on Venture. Can you recommend something instead of Medium Azeotropic Restrained Shield Extender? The second fit should fit easily. Make sure you are using one Medium and one Small Shield Extender. Check out the market trading guide to. It is a faster way to make ISK as an Alpha. 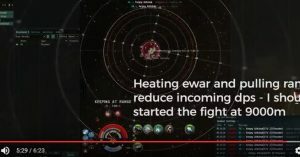 ok i used your fit and it works if your in hisec, but what if your in a corp in null sec. 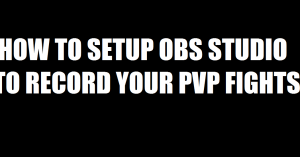 i do get ore with the set up just not a lot. any ideas on how to make it better?